He was ob.ses.sed. Every time I needed to make a dessert after then he asked for this pie. The time never came to make it, until his family birthday party. 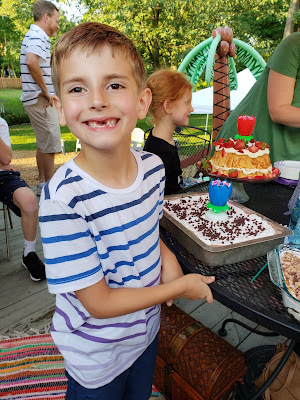 I had to improvise a bit, since we were expecting about 40 people at the party (Rob has a big family, and it was actually a birthday party for 4 cousins, all with June birthdays.) I doubled the fillings, and made an Oreo crust "from scratch". The crust was a little too thick, but when I include instructions in my note below, I did adjust for the quantities that will work better! 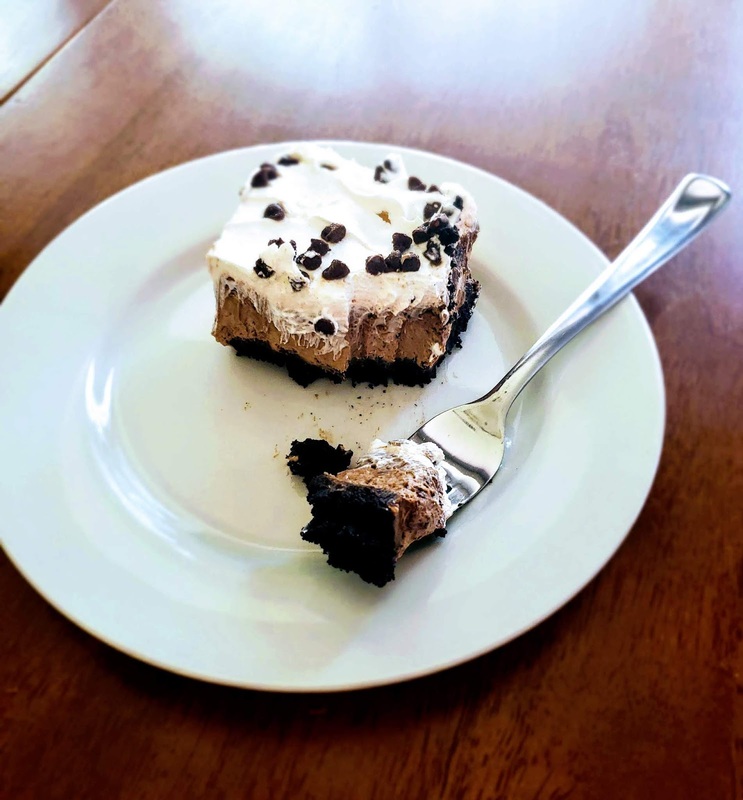 This pie is easy and delicious, and is now a go-to chocolate dessert that I'll always keep handy! Beat pudding mixes and milk in a large bowl, about 2 minutes. Allow to set in fridge for a few minutes. Spread 1 1/2 cups of the pudding onto the bottom of the prepared Oreo crust. Stir half of the Cool Whip into remaining pudding. Spread over plain pudding layer. Top with remaining Cool Whip and garnishments as desired. Refrigerate at least 3 hours, or until firm. - Crush 1 1/2 packages of Oreos, and drizzle in 1 stick of melted butter. Evenly coat the bottom of a pan, going up the sides a bit, and using a glass to tamp it down. Bake at 350 for about 7-10 minutes. Allow to cool before layering.